Jinhae Cherry Blossom Festival is hands down the best spring festival in South Korea. For those who want to experience the ultimate beauty of spring in Korea, we highly recommend Jinhae Gunhangje Cherry Blossom Festival! It is by far the largest cherry blossom festival in South Korea. For details and directions to the festival from Seoul, click here. From April 1st to 10th, you will be able to enjoy the very best cherry blossoms at this ten-day festival. If you missed it last year, don’t make the same mistake twice! If you miss the chance to cross over the Romance Bridge, we can say you missed the entire festival! The actual name of the bridge is ‘Yeojwacheon Bridge’ but it is mostly referred to as Romance Bridge because it is widely known as the shooting location for the popular Korean drama called “Romance” in 2002. This wooden bridge is one of the popular attractions in Jinhae where you can admire a view of beautiful cherry blossoms and their reflections on the surface of the stream. Cross this bridge at least once during the festival. For directions to the festival site from Seoul, click here. Want to take stunning photos? Get your camera out and head to Gyeonghwa Station in Jinhae and capture a beautiful scenery that will unfold in front of your eyes! Take a stroll along the 800 meter-long railway where rows of cherry trees in bloom stretch endlessly as well. 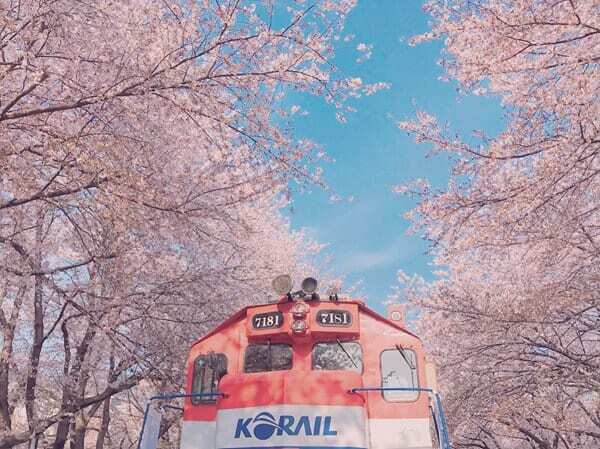 The train runs only during the festival period and you absolutely should not miss out on the chance to see the train passing by the cherry blossoms full in bloom! Walking along the cherry tree-lined sidewalks of Jinhae along the Yeojwacheon Stream at night are also what you must do during the festival. Decorated with beautiful lanterns and colorful umbrellas, you will be swept away by a dazzling array of colorful splendor! And the pink and white petals dancing in the night air will add even more romance to your trip. 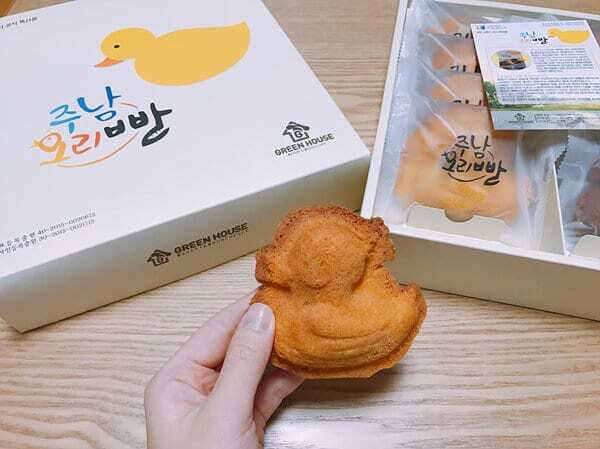 Want to try some new spring treat? 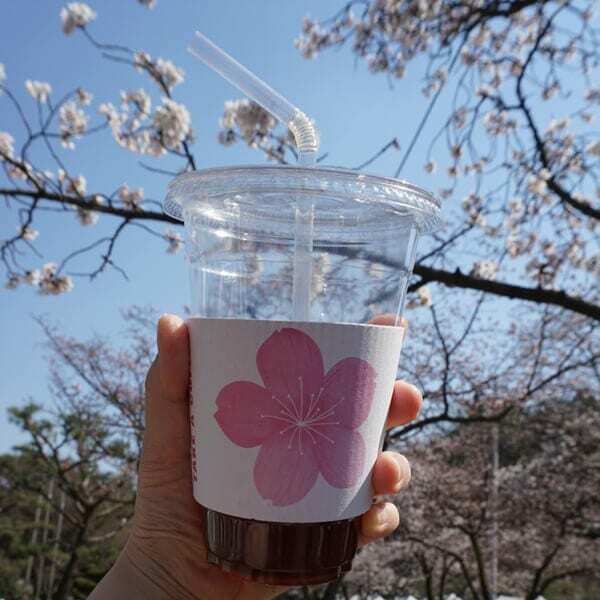 Here are some photos of must-try food and drink when you visit the Jinhae Cherry Blossom Festival! 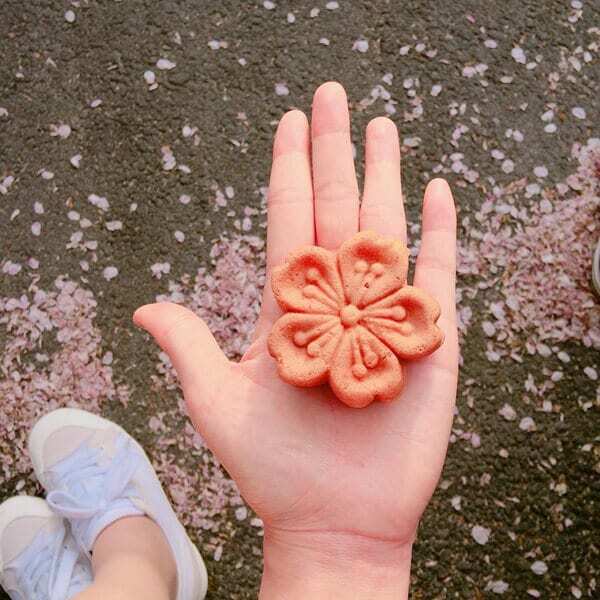 Ever tried the Cherry Blossom Bread? It looks just like a cherry blossom petal! Along with Cherry Blossom Bread, enjoy a cup of coffee with a beautiful cup holder that has a cherry blossom design! Jinhae is not only well known for its world-class cherry blossoms, but also for its naval port. The Republic of Korea Naval Academy and the Command of Naval Base are usually not open to the public but they are accessible only during the Jinhae Cherry Blossom Festival. From military band marching to the display of the Turtle Ship (an ironclad turtle ship used in the Joseon Dynasty), try not to miss these extraordinary events at Jinhae Gunhangje Cherry Blossom Festival! Along with breathtaking cherry blossoms, this must-visit spring festival offers plenty of attractions as well, making it the perfect place for you and your significant one to recharge your relationship and to squeeze in a little romance to your family vacation this spring. 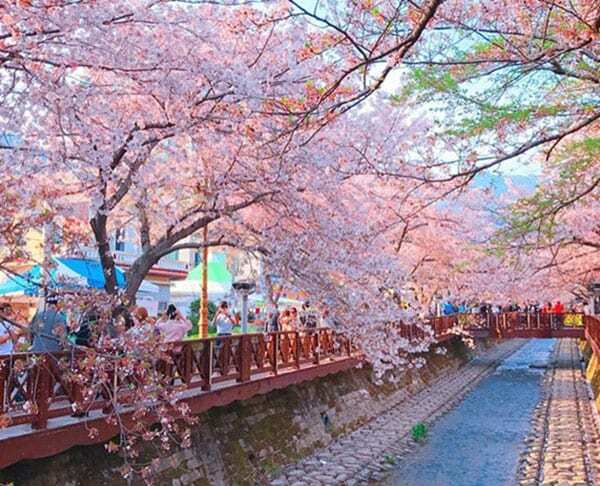 So, don’t miss out on the chance to visit Jinhae when you travel to South Korea during this spring season. If you need help arranging your trip, visit Korea’s #1 Travel Shop, Trazy.com, or sign up these hassle-free tours below. Check out more of Korea’s Best Cherry Blossom Festivals! This looks too beautiful for words!